Asahi Power is a corporate power, plumbing and drainage company formed by two existing businesses. 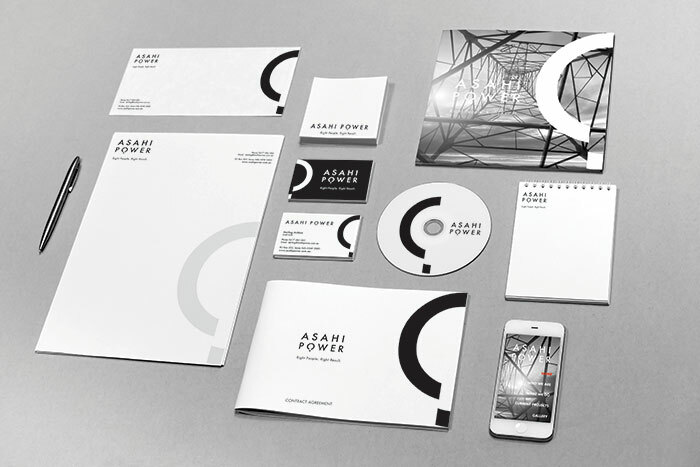 Having already developed its main client base, Asahi Power required a face and an online presence to assert itself alongside well established competitors. This new brand is simple but effective. It uses universal symbols to create a striking monochrome visual identity that answers the initial client brief.